The Great-Grandma I remember – Her name was Rosa – she was born in Downpatrick, Ireland. She came to Australia with her sister Bridget on a sailing ship, landing in Melbourne 1859. She died in October 1925 and I can still hear her voice. My Grandma [Australian born 1867 – of her Downpatrick (Ireland) mother], my Australian born Mother – her 2 brothers – my brother – sundry cousins of varying degrees… They managed to pass down to us the name – but not the exact recipe for – the delicious "fruit and pastry slice" she made every December for New Year’s Eve consumption. We called it ‘Nettle Cake" - to her children’s queries they told us she said "I am making a Nettle Cake". When it was all set up on the oven tray, my Grandma (quite young, 6-7 but big enough to be trusted with such an important message) would be told to take it to the baker in the main street – he would put it in the hot stone oven at his bakery after the bread came out. At that time she would have been cooking over an open fireplace fitted with bars and chains, and using a large heavy lidded pot called a Colonial oven – but a proper iron stove with hot plates and oven came probably mid 1870’s. This was in a house about 2 miles from Melbourne. The recipe died with her and her youngest daughter who had remained single – the traditional spinster with the job of minding Mother – 1925. Nettle Cake remained as a traditional requirement for New Year, made by my mother until sometime in the 1950-60’s when she switched to mince pies – the filling always stayed inside, and they were easier to keep and to serve. And I suspect that Nettle Cake evoked too many memories for her. Sometime after my Grandma died (1952) my brother and I began a search through her old recipe books for Nettle Cake – especially the currant, chopped lemon peel, and spice filling. Mum’s filling kept falling out! We found it in an English publication – but it was not Nettle Cake - it is Eccles Cake – a favourite in Cumbria, probably a request from Great Grandfather who was born in Keswick 1820 – died Melbourne, Australia 1896. Take 2 lbs. of puff pastry; roll half of it out on an iron plate or tin, spread 1 1/2 lb. of clean currants upon the pastry [sprinkle with sugar], and with a brush dash a little water on the sugar and currants to make them unite; roll out the remainder of the paste, and lay it on the top; ice it well according to directions for tarts, and bake it in a good oven. Thanks for sharing your traditions with us Shirley! 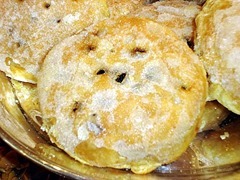 If anyone would like to share their recipe for Eccles Cake or Sweet Nettle Cake, please comment below. 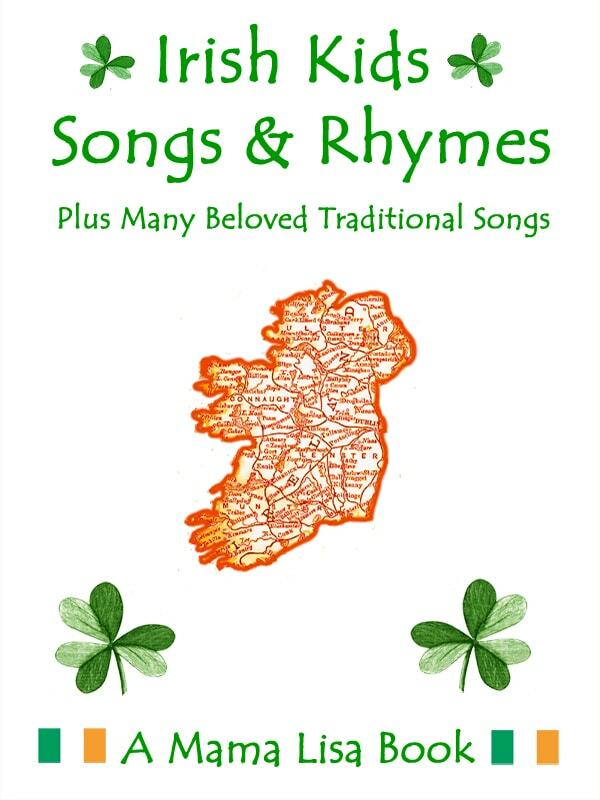 This article was posted on Wednesday, December 10th, 2014 at 5:02 pm	and is filed under Australia, Countries & Cultures, Cuisine, Desserts, Eccles Cake, England, Holidays Around the World, Ireland, Irish Cuisine, Nettle Cake, New Years, New Years Recipes, Recipes of the World. You can follow any responses to this entry through the RSS 2.0 feed. You can leave a response, or trackback from your own site.